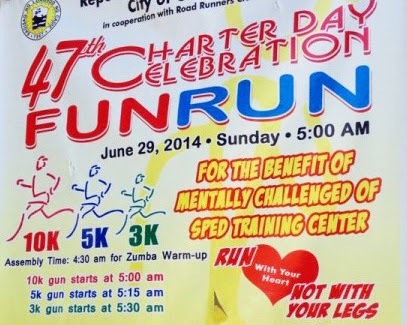 With the help of City of Cadiz and in cooperation with Road Runners Club brings the 47th Charter Day Celebration Fun Run that will happen on June 29, 2014, Sunday at Cadiz City, Negros Occidental. This event is for the Benefit of Mentally Challenged of SPED Training Center and lets run with your Heart not with your legs. Register Now!